Do you love eating outdoors? 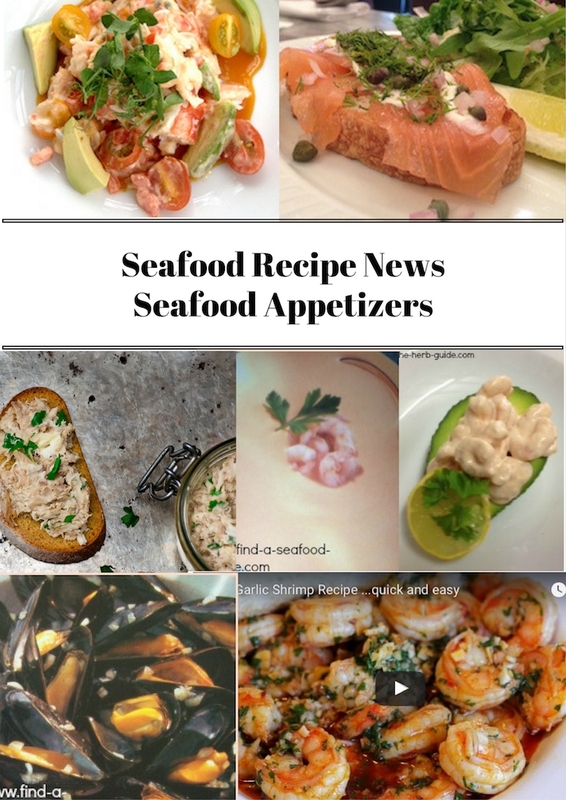 I've been asked for some seafood picnic ideas, so here's a selection of my favourites. 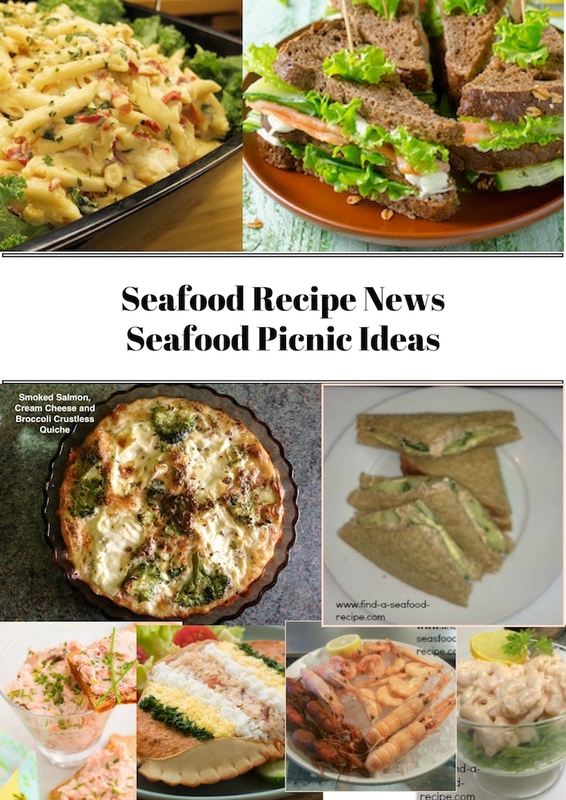 Seafood is always plentiful in the summer - you can make great picnic sandwiches for a relatively small amount of money if you use a can of tuna and you can make healthy picnic recipes with seafood. pack some ice blocks in with your food - if you don't have any, use some empty plastic drinks bottles. Fill three quarters with water and freeze overnight to pack around your food. wrap all food well and separately - especially if you're going to barbecue and you've got raw as well as cooked. If things leak, it can really spoil the picnic. 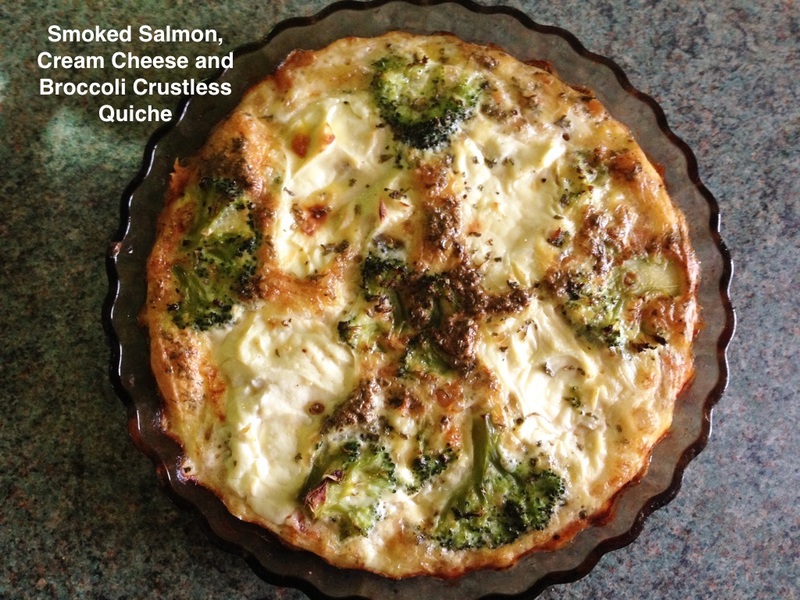 This Smoked Salmon, Cream Cheese and Broccoli Crustless Quiche is amazing! I can definitely say that this particular one was extremely tasty as I had cooked it and I've made a video showing the steps - it's one of the first videos I've made, it was *very* stressful - I will relax in front of the mic in time, I'm sure. Click on the link above and you'll be able to hear my strangled, anxious voice telling you how to make this - it's great for low carb and gluten free diets and is Weight Watcher friendly too - I've explained all about that in the video. 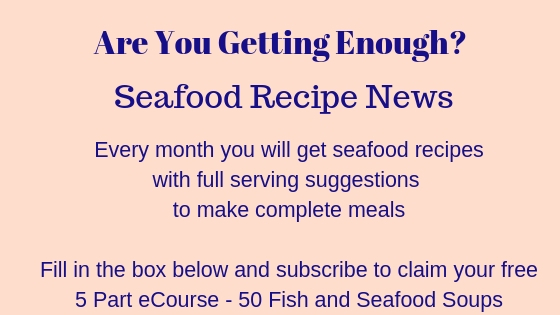 It is a fabulous seafood picnic idea as it's great hot or cold. Very tasty and a little goes a long way. 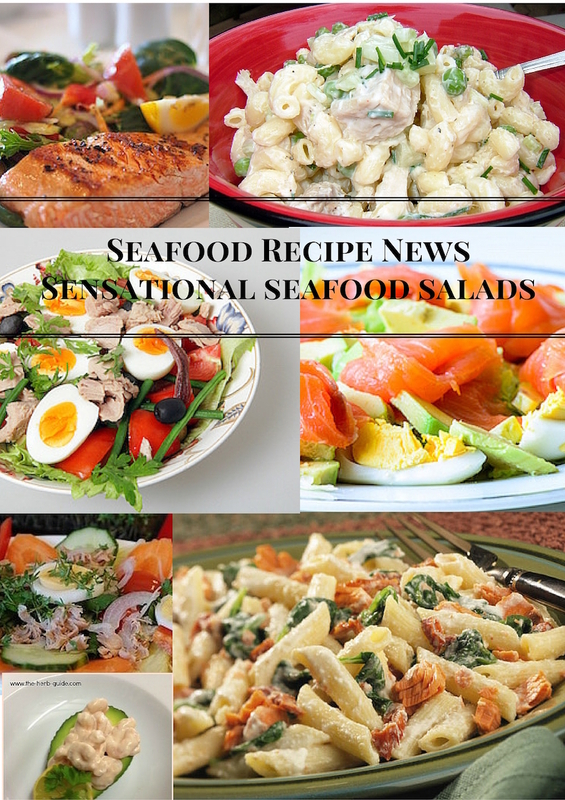 This is a great seafood picnic recipe - Seafood Pasta Salad. 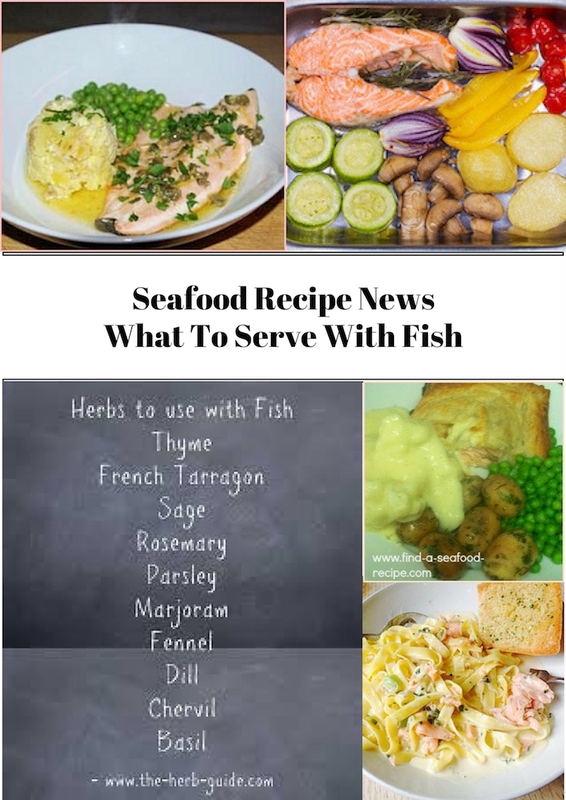 The recipe uses canned salmon, but you could easily substitute tuna or other canned fish or use cooked wet or smoked fish. Smoked mackerel would be very tasty. Pack this into a plastic box for transporting and keep it flat. 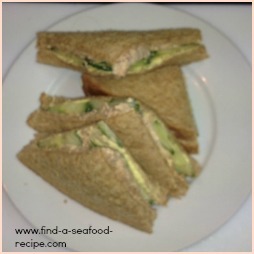 There's two seafood picnic ideas for sandwiches here - the Seafood Club Sandwich on the left would need adult hands to keep it 'tidy' - the Tuna Sandwich on the right is much easier for small hands to cope with. 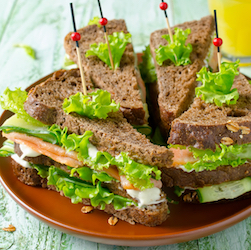 You don't need to use sliced bread either - wraps, bagels, rolls, french stick - all work well. 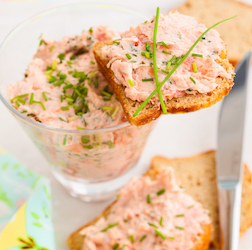 One of my long time favourites - Smoked Fish Pate - this recipe is for smoked mackerel, but you can make this with anything - trout or salmon (which is the photo here) - you can even use canned fish, say tuna or salmon to make it. Just drain it thoroughly first, or it might be a bit 'wet'. Now, you can actually use this to make sandwiches, wraps, pitta filling - but it's also great with some crusty bread and butter. OR you could use it as a dip with potato chips, bread sticks, pastry twists, sliced vegetables (crudités) say cucumber, bell pepper, carrots, mushrooms, cauliflower florets - would make a lovely colourful centrepiece. 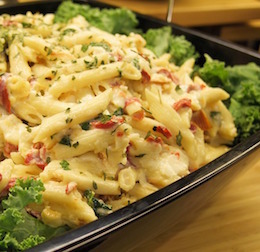 Again, this would be great as part of a picnic menu. Everybody loves Shrimp Cocktail. Very simple to make. If you're having a 'posh' do, you could make it in individual portions for a starter or halve some avocado pears and fill the centres. If it's a more informal, dip in and help yourselves sort of affair, then a dish of it would be perfect. You can make sandwiches, wraps and pittas with it too - just add some shredded lettuce or sliced cucumber - squeeze of lemon and away you go. 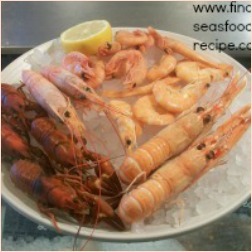 A mixed seafood platter is a great picnic idea - this one has shrimp, scampi, crevettes and langoustines. If you do decide to do this, then stick a bag of ice in your cold box and serve it on that. It will add a touch of luxury. Don't forget the hand wipes as you really will need them after this! This amount would be ideal for two people - a lovely romantic picnic again - once you've got rid of the shells, there's not a huge amount of meat in there, so you wouldn't be over faced with food. 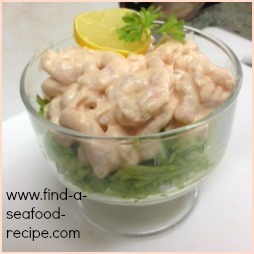 A simple pot of mayonnaise or maybe some seafood cocktail sauce if you prefer would be perfect - some brown bread and butter too. 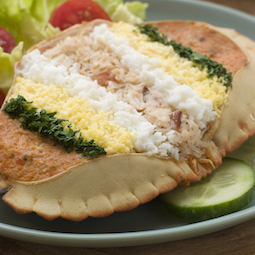 I love fresh crab - a dressed crab (and if you're going to the coast, then you'll be able to pick up really fresh crab which has been already prepared for you) with some bread and butter, a bit of salad - maybe some mayonnaise - is a very simple picnic idea.